"Kenney’s challenge is to keep his candidates in line, on message and under control." political columnist Graham Thomson on what we can expect on the campaign trail and what messaging we’re likely to hear. 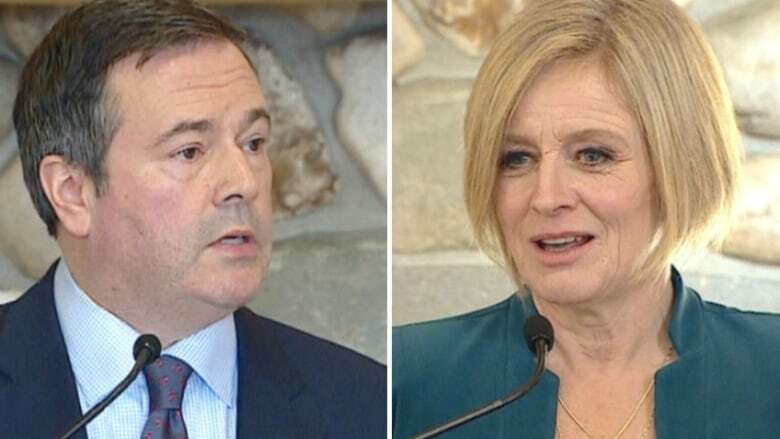 When the election gun went off Tuesday morning, NDP Leader Rachel Notley bounded out of the gate while United Conservative Party Leader Jason Kenney discovered his shoelaces had been tied together. One of his star candidates, Caylan Ford in Calgary-Mountain View, had abruptly resigned after the NDP-friendly website Press Progress issued a strategically timed story about some controversial statements involving white supremacists she had made two years ago. Ford angrily disputed the context of the quotes but she likely knew if she didn't voluntarily jump, she would have been pushed. When asked a few hours later about Ford's resignation, Kenney expressed shock and disappointment over her comments, but said she did the right thing by tossing herself overboard. And then he was off and running with nary a glance backward as he renewed his attack on the NDP for introducing a carbon tax, for not getting a pipeline built, for running a record provincial debt and for not creating more jobs. The first day of the campaign is a good portent of how the election campaign may unfold. The NDP will try to trip up the UCP by targeting the character, history and ethics of its candidates — but mostly the character, history and ethics of its leader. For the NDP, this is a contest between two people. 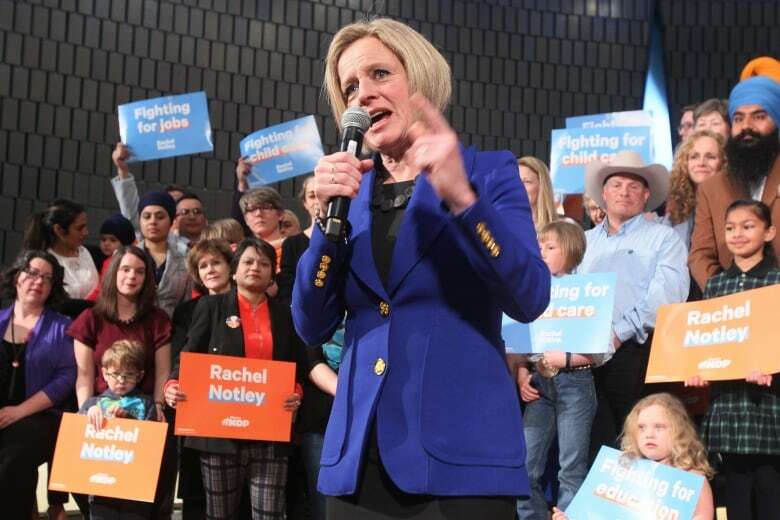 "It's a choice about who is going to be the premier of Alberta and who is fit to be the premier of Alberta," declared Notley Tuesday in what would be a great NDP slogan, except for trying to get it to fit on the side of a campaign bus. "Two days ago, we learned Mr. Kenney cheated to win his party's leadership. And when he was caught, he didn't tell the truth. Mr. Kenney looked Albertans in the eye and very casually and very comfortably lied to us, which in many ways goes to the heart of this issue: how comfortable Mr. Kenney is with lying." And expect Notley to repeat them virtually every day of the campaign. But the challenge for her will be to keep the words, the sentiment, fresh. Right now, the scandal whirling around the 2017 UCP leadership race is new and exciting thanks to reports the RCMP has launched a criminal investigation after Alberta's Election Commissioner discovered possible serious wrongdoing. At the very least, the evidence made public so far points to a disturbing level of collaboration between the Kenney leadership team and that of Jeff Callaway to unfairly undermine candidate Brian Jean. Jean smelled a rat in 2017 and, after biting his tongue for 18 months, is now publicly complaining and criticizing Kenney. Callaway has denied any wrongdoing. Kenney says his campaign broke no rules, temporal or political, and besides anything they did is just politics as usual. But if the UCP leadership race was all about politics, Kenney says the 2019 election is totally different. "This campaign is not about politics, it's about people, the people who have been damaged by the ideological job-killing policies of the NDP and their alliance with the Trudeau Liberals." But it's perhaps difficult to take Kenney seriously when he says the campaign is not about politics and then takes a very political shot at the NDP "ideological job-killing policies" and accuses New Democrats of being in cahoots with Trudeau, who just might be the most unpopular politician in the eyes of Albertans these days. Kenney's statement, like his campaign, drips politics. The challenge for Notley and the NDP is to keep the issue of leadership and the UCP race in the public eye. The problem is that it's not a particularly easy story to tell even to someone interested in the details. It'll take a good two minutes — flow charts and sock puppets would help — to explain why the UCP leadership race was pretty much a creep-fest of old-style politics. Kenney can dismiss it with a shrug of his shoulders as he pivots the conversation to something easy to understand: the unpopular carbon tax. And the lack of a new pipeline. The provincial debt won't reach $100 billion for another five years at the current rate but that won't stop Kenney pointing to a $100-billion debt. Notley will campaign on her social justice victories, on the $15 minimum wage, the workplace protection for paid farmer workers, keeping anti-abortion protesters away from clinics, safeguarding gay-straight alliances in schools. And she and her supporters will keep trying to trip up the social conservatives in the UCP ranks by outing any and all bozo eruptions NDP researchers can dig up. In Alberta's 2012 election, the Wildrose suffered the Mount Vesuvius of bozo eruptions when a candidate's homophobic "Lake of Fire" comment helped sink the party. Albertans may have elected Conservative governments for 43 years but that doesn't make the province a hotbed of social conservatism. Kenney's challenge is to keep his candidates in line, on message and under control. And if they create a "distraction," to jettison them overboard without a second thought even if they're star material destined for cabinet. When it comes to the big issues, Kenney will have an easier time than Notley. 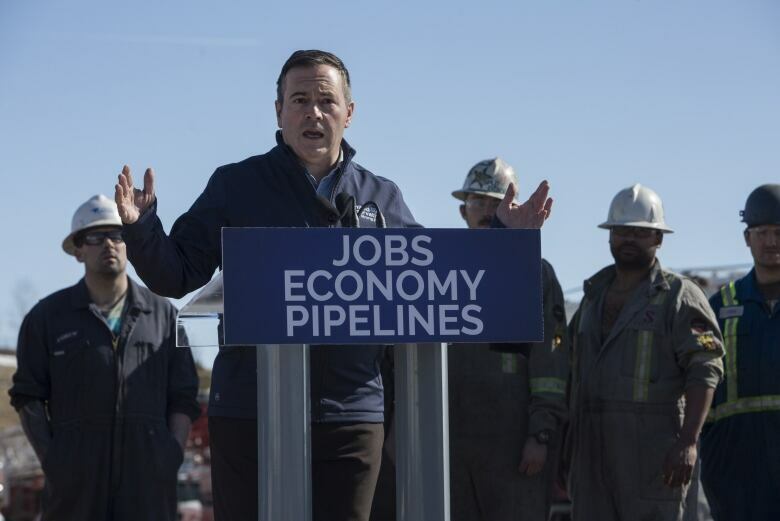 Getting people to think about the economy and pipelines is natural for pretty much everybody in Alberta. Getting them to think about the UCP leadership race of 2017 — and then understand it — and then care about it — will not come particularly natural to anybody not already with their nose pressed against the window of Alberta politics. Notley can't campaign on the economy. It was recovering but has since slowed down. Unemployment is creeping back up. She didn't manage to get a pipeline in the ground. Notley's challenge is to convince non-partisan Albertans that not only has she made the province a better place socially, that the economic troubles were caused by the depressed price of oil, not the minimum wage or the carbon levy or hiking corporate taxes. The economy will improve, the pipeline will get built, good times are coming. Just give her time, Notley will say. And conversely, she is warning voters you just can't trust Kenney. He is not fit to lead Alberta in the 21st century. Kenney's challenge will be to convince those same Albertans that he is not the lying, cheating, out-of-touch social conservative the NDP is painting him to be. And to keep his rhetoric aimed squarely at the economy and jobs. Of course, everything could change dramatically if during the campaign the RCMP were to lay criminal charges in connection with the UCP leadership race. That's something the NDP will no doubt look for every day during the next four weeks. But they have as much control over that as they do over the price of oil. All they can do is hope Kenney stumbles, either on his own or with a little help from Notley and her friends.